Abstract. Apsari PP, Budiarti S, Wahyudi AT. 2019. Actinomycetes of rhizosphere soil producing antibacterial compounds against Urinary Tract Infection bacteria. 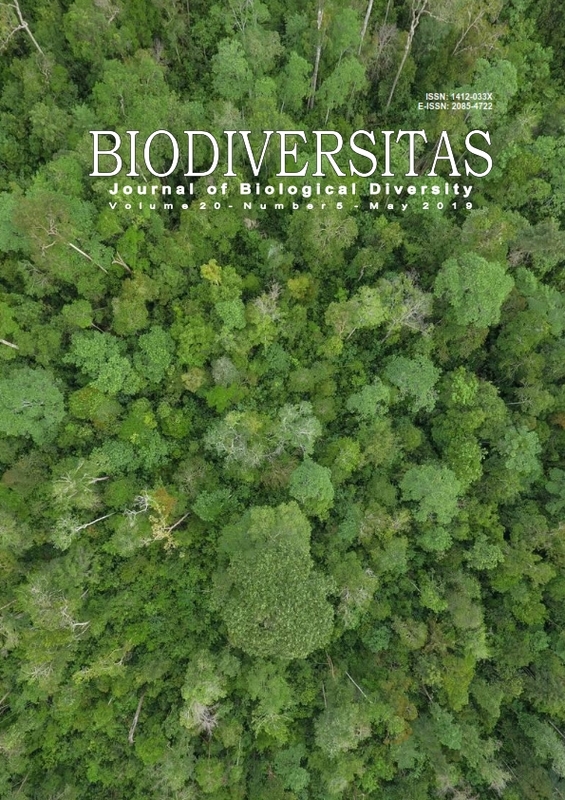 Biodiversitas 20: 1259-1265. Based on the ability of actinomycetes as an antibacterial compounds producer and the need of finding novel antibacterial compounds, this study aims to look for antibacterial compounds from rhizosphere actinomycetes against bacteria in urine of UTI patients (Escherichia coli, Citrobacter braakii, Acinetobacter calcoaceticus, and Klebsiella pneumoniae). The screening of 21 actinomycetes was conducted based on the paper disc method. Potential actinomycetes that inhibited test bacteria were, then cultured in liquid medium and the supernatant was tested to six test bacteria. Then, the supernatant was extracted using ethyl acetate and crude extract from extraction process was tested to test bacteria. Afterward, the crude extract was scanned for bioactive compounds by GC-MS. Potential actinomycetes were identified by 16S rRNA gene to reveal the species. The screening results showed that ARJ 16, 24, and 36 had a wider inhibition zone than others. All of them showed that the supernatant and the crude extract could inhibit UTI's bacteria. The highest abundance of bioactive compound of crude extract was found in Propane, 1,2-dichloro, n-Hexadecanoic acid, and Carbonochloridic acid, 2-chloroethyl ester, respectively. Identification of potential actinomycetes based on 16S rRNA gene showed that ARJ 16 and ARJ 24 were highly similar to Streptomyces sp. in 99% and ARJ 36 was similar to Streptomyces tendae in 98%.